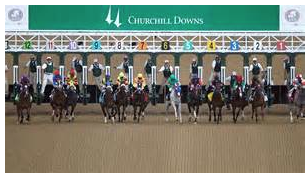 Don ‘At The Gate’ Phillips Expert Selections – Churchill Downs!! At a Great, Great Price – $48 for 41 Days of Professional Selections! Includes Kentucky Derby, Preakness & Belmont Stakes as well! Editor’s Note: At RPM, we have sought out, and proudly hired, some of the absolute best ‘specialty’ handicappers in the Nation. We have Leo Cate’s of PowerHorse International, who has provided accurate selections for the Triple Crown and Breeders’ Cup races for our clients for over 22 years now. Rob Henie, whose West Coast & East Coast Reports (WCHR & ECHR) are read and used my many top handicappers, owners and trainers in the nation. Jon Worth, who provides the ‘conservative’ set with super high-% place & show prospects via his TIPS Report. And now, we are very fortunate to be joined by Don ‘At-The-Gate’ Phillips, who has made his mark at The Fairgrounds, Oaklawn & Churchill. Churchill Downs, of course, is basically known for one thing and one thing only, The Kentucky Derby, but during the spring Churchill meeting, there are 41 days of racing, and Don has shown smartly positive ROIs at both of the Churchill meets he’s covered. >>Don has a knack for the Southern State meets – he knows the biases, trainer patterns and intentions, hot stables, etc. And at the price we are offering for his service, you simply cannot go wrong!! See the details below, which include some of Don’s recent results at Churchill Downs. Churchill Downs Selections from Handicapping Pro Don ‘At The Gate’ Phillips!! 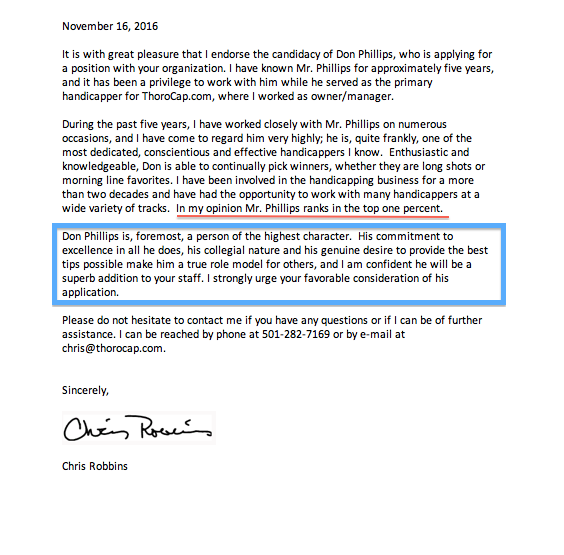 We are happy to have Don Phillips on board as one of our new, brightest and most accurate handicappers. Don will be sharing his expertise with selections on the quirky Churchill oval, where he has enjoyed profitable results for the past two seasons. And to introduce you to Don’s Expert Selections at Churchill Downs, we are making you a deal, that if you are smart, you simply cannot refuse!! You read correctly, just $48 for the FULL 41-Day Churchill Downs Meeting!! And we can 100% assure you that Don will provide you with results far, far superior to your own handicapping (or anybody else’s selections). 34.7% winners @$8.12 average mutuel — over 50% of his top picks ran at least 2nd. Using his picks (2 in each race) he provided his clients 31 Pick 3’s ($941 & $792 being the biggest) 12 Pick 4’s ($5,123 & $3,512 being the biggest). 33.9% winners @$8.21 average mutuel — over 48% of his top picks ran at least 2nd. Using his picks (2 in each race) he provided his clients 33 Pick 3’s ($780 & $777 being the biggest) 10 Pick 4’s ($4,181 & $3,122 being the biggest). >>And, of course, Don will provide you with his KY Derby picks as well as his full card picks on the Big Day! So, seriously, what else can you get for just a little bit more than $1 per day these days? I And with Don’s selections you will have reasonable expectations to add $$$ to your pocketbook rather than useless calories. Your selections are emailed to you the night prior to each Churchill Downs racing day.